All you need is day-old steamed rice, some good garlic, and an egg to make a quick breakfast, lunch or supper – garlic fried rice. Blah blah, winter. Blah blah snow. Blah blah thiswinterismakingmeinsane. Okay, obligatory whining done. Whew, I actually feel better. Rice! (I love a good non-sequitor). Is there a a container of leftover rice in your refrigerator right now? If so, you are in luck, my friend. Why, you ask? 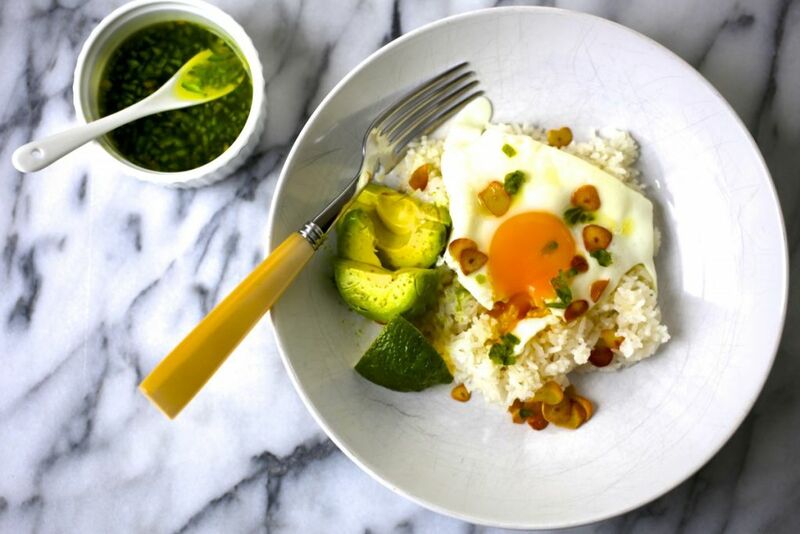 Because your mission (a delicious, quick and easy breakfast) should you choose to accept it, involves that rice, some garlic and an egg. Basically, this is a garlic fried rice recipe from the Sundays at Moosewood Restaurant cookbook, that I used to make all the time. I’m pretty sure the recipe was actually called the Philippine Breakfast and it’s so simple, I didn’t even need to look it up to remember how make it again. Don’t be put off by the garlic. It gets lovely and nutty when cooked this way. Not pungent at all. I like to serve it with a few slices of avocado, a lime wedge and a sprinkle of Maldon salt. Matt loves it with a squirt of sriracha. Be careful not to burn the garlic. Burned garlic is horrifying and if you really scorch it you should really throw it out, clean the pan and give it another go. Garlic fried rice works with pretty much any kind of rice (except wild rice which isn’t really rice at all). If you like things extra-spicy, try using a habanero pepper, but don’t sue me if you burn your bits and pieces off. 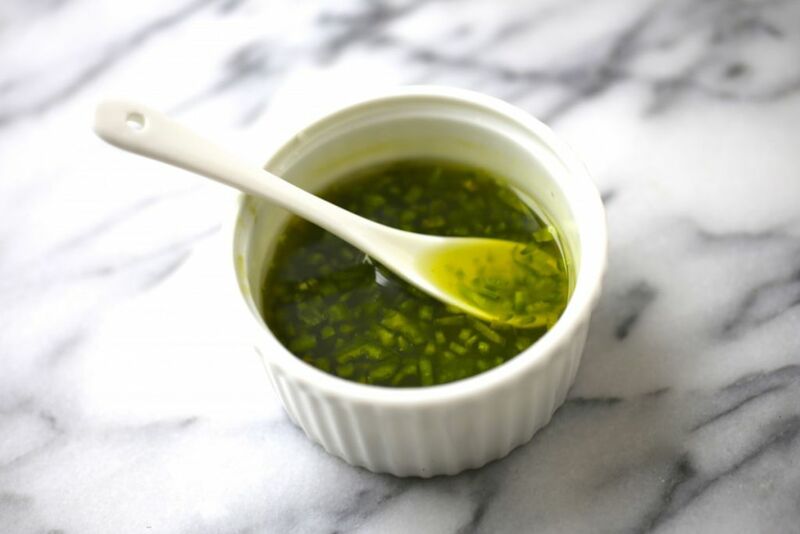 The pepper vinegar gets better and better as it sits, so make extra and store it in the fridge for next time. Finely chop the pepper (seeded and deveined, if you like) and place in a small bowl. Add the vinegar, mix and set aside. Starting in a cold skillet or wok (non-stick is useful here), add the oil and sliced garlic and turn the heat to medium. Sauté the garlic until just golden (careful not to burn it). Remove garlic and reserve. Stir-fry the rice until hot and nicely coated with the garlicky oil. Turn off the heat, sprinkle with a little salt and stir in reserved crispy garlic slices. 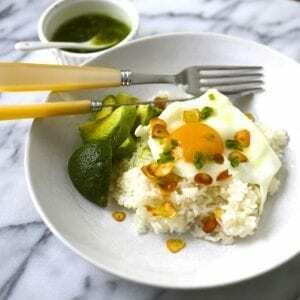 Remove the rice to two plates and cook the eggs to your liking (over easy is my favorite for this). 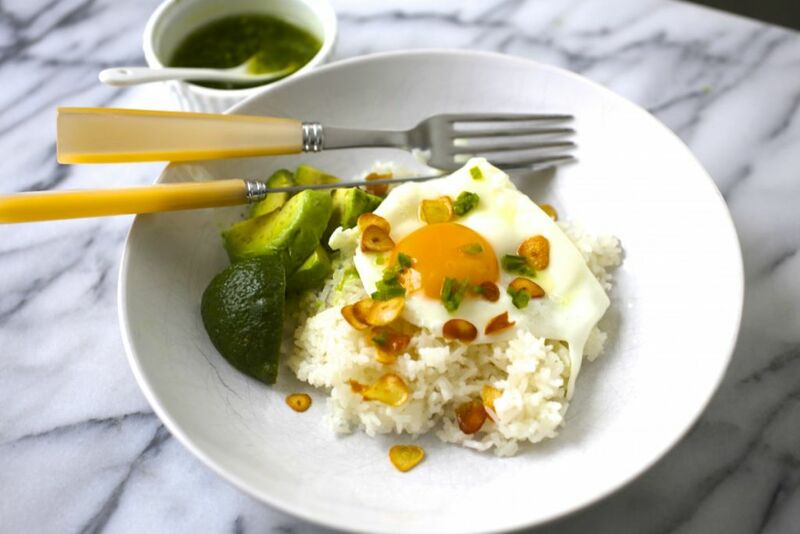 Slide the eggs on top of the rice and serve with the avocado, chile vinegar and a sprinkle of sea salt.